This is a new find and thank goodness as I’ve had trouble sleeping for years. Honestly, I am so thankful. I get anxiety before I sleep, so then I can’t sleep which makes me even more anxious. I start to then worry about not getting up on time, sleeping through my alarm etc. and it spirals into me getting only a few hours sleep which is terrible. A normal day at the office and a package arrived at my desk. To be honest, I didn’t think too much of it because things often arrive at my desk but when I got home I open the box and I find inside some packages called Spacemasks. 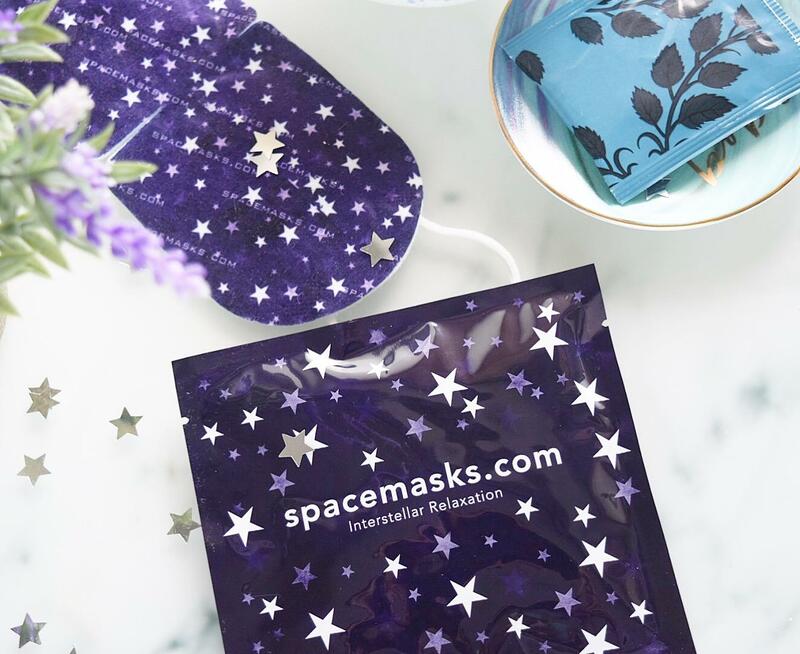 Spacemasks come in a box of 5 perfectly formed pouches each containing a heavenly Spacemask – a soft eye mask with elastic over ear loops to ensure they stay on. Honestly, I looked at their website at this point which is, if I’m honest, a bit odd, but I figured I had nothing to lose and decided to give a mask a try that night. I had the best night’s sleep I have had in years. Haven’t really got a clue how it works, but instead of taking me an hour to switch my brain off after about 10 minutes I sank into a really deep sleep that lasted until my alarm went off in the morning. I couldn’t really believe it so I tried it for the next four nights in a row. The exact same thing happened every night. I immediately ordered more. Every day I woke up feeling refreshed and raring to go. One morning I even woke up early, got dressed and went to the gym before work. I was starting to wonder who I was! So You Kind of Like Them Then? I have an extremely busy full-time job along with working on my blog and sleeping poorly made everything so much harder. With these masks I am able to sleep so well I am far more productive, happy and frankly they have been life changing. I don’t know what I would do without them now. I have just ordered another box. 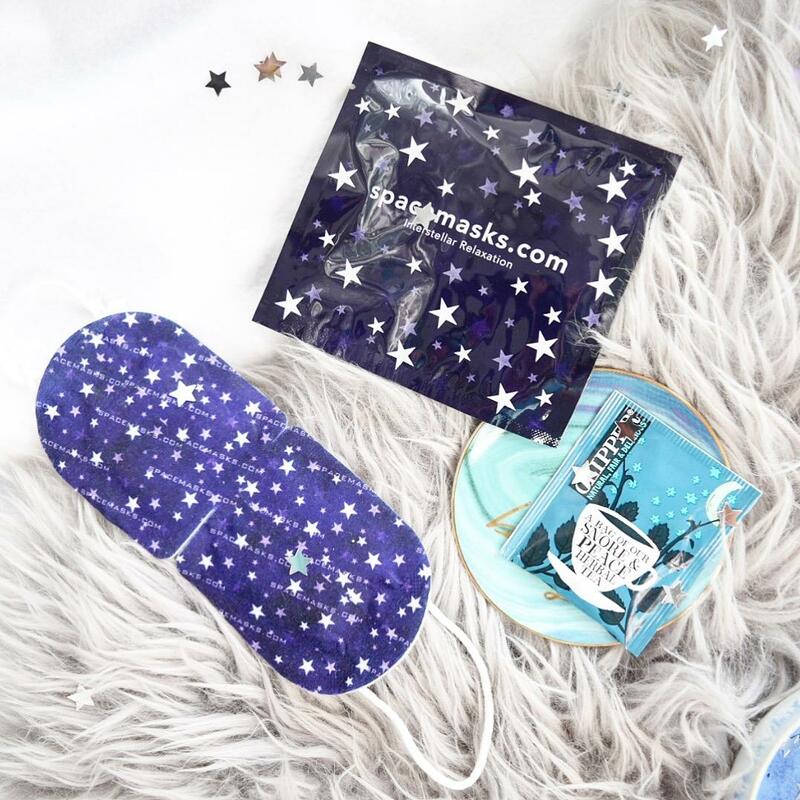 I’m not too sure what the contents of these magic masks are but after a few minutes, they start to warm up and as soon as they start to do this your eyes feel so soothed and then you feel so sleepy and then pow, you’re waking up to your alarm clock! You can purchase a box of 5 individually sealed Spacemasks for £15 from here so if you’re a parent who never gets any sleep, a workaholic, full of stress and anxiety or just doing some long distance travel, grab a box and give them a go. I haven’t looked back since!